Sixty years ago, having a heart attack often meant being hospitalized for weeks with few treatment options. There were no stents or pacemakers and few medications were available. Many people were never able to return to work and their lifestyles were severely altered. But the advancements in both prevention and treatment of heart attacks have brought about dramatic change. Not everyone is aware of the advancements, however, and still hold on to misconceptions about heart disease. These outdated ideas may increase your risk of heart attack. Here are five commonly held heart truths that are actually false according to Harvard Health. If you have heart disease, you need to avoid all exercise because it can put strain on your heart. Being a couch potato is never a good idea, according to medical experts. A sedentary lifestyle can increase the risk of blood clots and cause your overall health to decline. Physical activity will make your heart stronger and get the blood flowing to your brain and internal organs, which helps them stay healthy. Be sure to check with your doctor for an acceptable exercise level. Something as simple as a daily walk can help keep your heart healthier. Once you start talking cholesterol-lowering drugs, you don’t have to worry about your diet. Cholesterol is a tricky thing to understand. The cholesterol in your blood stream comes from both the food you eat and from your liver. Cholesterol-lowering drugs reduce the amount of cholesterol made by the liver, which will lower the amount in your blood. However, if you continue to eat foods that are high in cholesterol and saturated fat, the drug will not be as effective. The key to controlling cholesterol is to take the medication and control your diet. Vitamins and supplements can take care of heart disease. Commercials about the antioxidant vitamins E, C and beta carotene are convincing. They do seem to lower heart disease risk. However, there have been no clinical trials yet that confirm their effectiveness. The American Heart Association has stated that there really is no scientific proof that these supplement tablets can prevent or treat heart disease. Scientists have found that the body is able to use vitamins and minerals from food better than from supplement pills. To get the maximum benefit, eat nutritious foods that contain those helpful antioxidants instead of taking supplements. Smokers have no hope, so why bother to give up smoking. While it is true that smoking increases your risk of heart disease, the minute you stop smoking, your risk begins to drop. If you manage to quit for one year, your heart attack risk will drop by 50 percent. If you can give it up for 10 years, your risk will be the same as if you had never smoked at all. 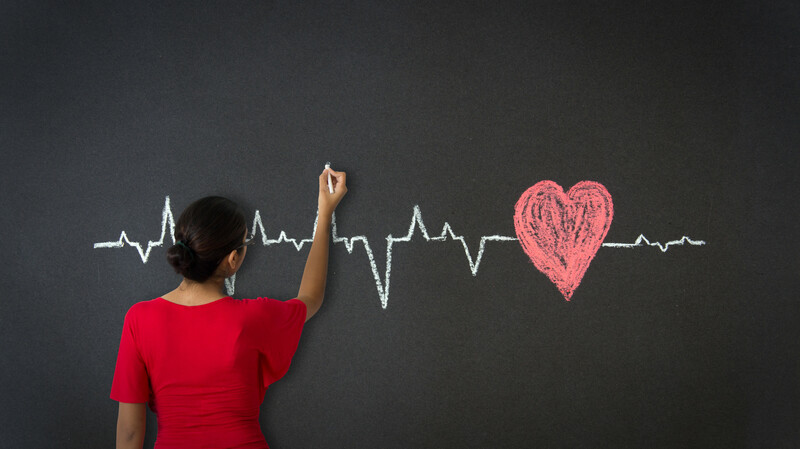 Quitting isn’t easy but it has a dramatic affect on your heart health. Having heart disease means giving up all fats forever. Dietary changes are helpful in treating heart disease, but it is important to know the differences between saturated and unsaturated fats. Saturated fats are usually firm at room temperature like shortening or cheese and need to be limited. Unsaturated fats are usually liquid at room temperature and come from plants like olive oil or vegetable oil and are healthier. If you have heart disease, reduce the amount of saturated fat found in foods like beef and pork and partially hydrogenated fat found in things like fried foods and pastries. There are some fats that are beneficial, especially those omega-3 fatty acids found in fish. Simply eating salmon twice a week can lower heart disease risk. When you eat meat, choose the leanest cuts and always remove the skin from poultry. Add low-fat dairy products, nuts, olive oil and fatty fish to your daily menu. Surviving a heart attack and returning to an active life is far more common today than it was 50 years ago. The cardiologist does his part, but the patient also can affect the outcome by successfully completing a rehabilitation program. To help guarantee an effective recovery, many people rely on professional help found at short-term rehabilitation centers where there is a team of therapists and dietitians ready to guide them on a journey to better health. When looking for a post-hospital cardiac rehabilitation program, be sure to consider Glenview Terrace for expert care in elegant surroundings. To begin, an individualized cardiac platform is developed for each guest that addresses specific needs. Customized physical, occupational and respiratory therapies are offered regularly up to seven days a week. Dietitians and wellness coaches work with guests to discover lifestyle changes for better health. All of this care is under the leadership of cardiologist Dr. Eileen Kelly, Medical Director of Glenview Terrace’s Cardiac Care Program. Kelly is board certified in cardiovascular disease and specializes in congestive heart failure, coronary disease, preventive cardiology and has expertise in women’s health research. This targeted care is offered in elegant surroundings by an expertly trained team that is dedicated to deliver the highest standards of customer service and clinical care. Glenview Terrace guests receive extra-special attention including morning delivery of coffee and newspaper to your room and an array of leisure and social activities. For outstanding post-hospital care after a cardiac event, consider Glenview Terrace, where the goal is always to help get you back to the independent lifestyle you desire. For additional information or to arrange a tour, visit glenviewterrace.com or call 847-729-9090.